A year after the Battle of the Somme the British Expeditionary Force (BEF) were tasked with pushing through Ypres in Belgium and occupying the high ground and ridge-lines to the East. 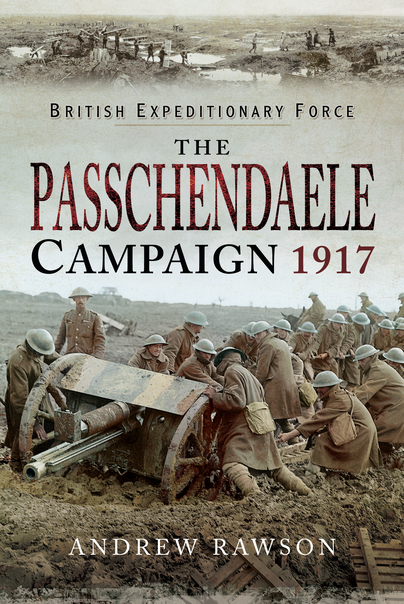 This battle now known as the Battle of Passchendaele or the Third Battle of Ypres is succinctly covered in Andrew Rawson's latest book in the BEF series from Pen & Sword Publishing. The book starts, just as the battle did, with a series of explosions in mines sunk beneath the Allied trenches and tunnelled underneath German defensive positions. Although the Germans were listening for the tell-tale sounds of boring machinery, they couldn't hear it because the mines were so deep and machinery wasn't involved. The author tells us that humans, literally 'diggers' were quieter and quicker than any machinery of the time. Initial successes literally became stuck in the mud as the Flanders coast saw unprecedented rainfall throughout August. This left each side not only fighting each other but also the quagmire in which they lived and died. I was expecting this book to be a bit of a slog (no pun intended) but the way in which the author breaks down each battle with an accompanying map into Divisions and Brigade level really helped my comprehension of what was happening. The author states that his inspiration for this approach came from a book about the American Civil War, 'A Testing of Courage'. I've not read that volume but I think Andrew has achieved his aim of clearly explaining the force disposition, terrain and outcome into a coherent narrative. I've long known about the terrific amount of ordnance fired by artillery pieces throughout WWI but I've never read an account of how precisely it was integrated into the whole offensive. Not only that but I was surprised at how 'joint' were the separate military outfits. The Royal Flying Corps and Royal Naval Air Service, with the subterranean diggers, with the modern tank, alongside the ubiquitous infantryman all supported with artillery. The level of coordination between all of these services must have been immense and it was achieved primarily by runners and pigeons! 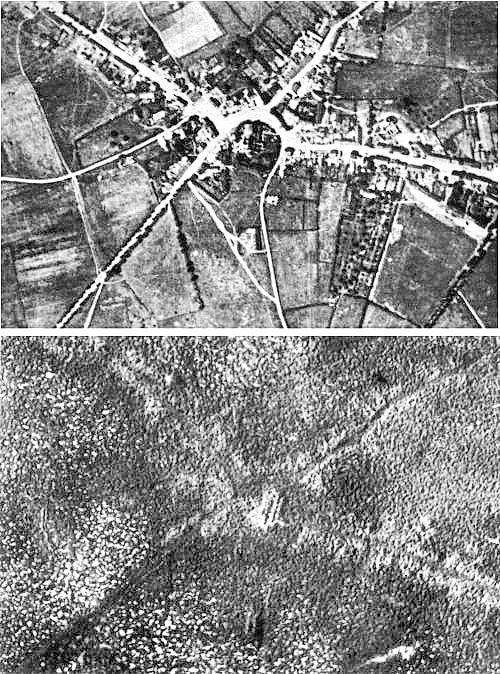 Passchendaele village before and after artillery barrage. A common artillery tactic mentioned frequently in the book was the artillery barrage. This served to soften up the German positions but scarily the infantry would hug the line of explosions and walk just behind the explosions in order to capitalise on the defenders turmoil. The numbers of shells fired, given by Mr Rawson are frankly terrifying to comprehend. I found the prose to be rather terse as the author whips you through one Brigade of a Division then onto another very quickly. The briefest mentions of individual acts of bravery are given scant acknowledgement, with the oft repeated phrase '...for this he received the Victoria Cross'. I appreciated this style as it kept the book flowing along at a very steady clip. If nothing else, the book is a thorough account of the entire Flanders campaign in just over 200 pages. I would have liked more picture inserts as those that the author put in were just enough to whet my appetite. Their clarity was surprising and complemented the text very well. If you're looking for a good introduction to the battles in and around Ypres then look no further.